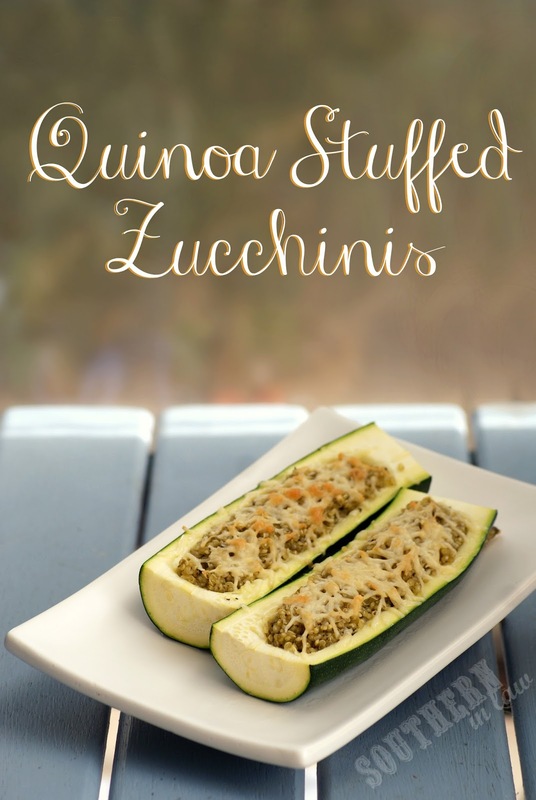 Why not put the quinoa in the zucchini and then top it with cheese?! Brilliance, I tell you. So off I went, to create this new creation - and when I bit into it, I was in heaven. Two of my favourite dishes combined into one! This is quite possibly the simplest recipe and you can switch up the quinoa mixture with whatever you feel like - I've also stuffed them with my avocado quinoa and it was delicious! Slice your zucchini in half and use a teaspoon to scoop out the seeds, leaving a "wall" on each end to keep the quinoa in. Place your zucchinis onto a lined baking tray/dish. Place into the oven and bake until they just begin to soften. Mix together your quinoa and pesto until incorporated. If you're using cream cheese for a creamy filling, mix them together over a low heat until the cream cheese mixes through. 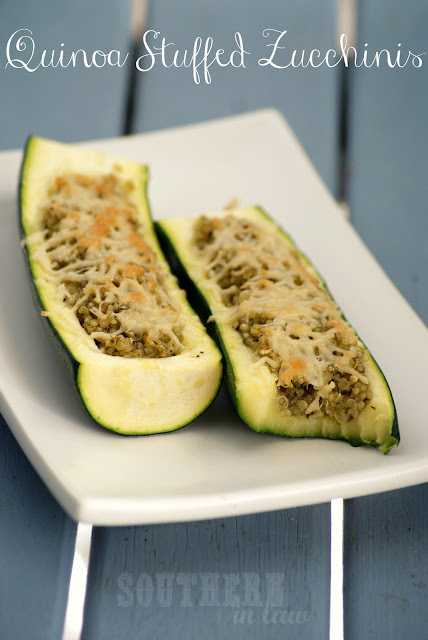 Place your stuffed zucchinis back into the oven and cook until the cheese is melted and slightly browned. Leave to cool slightly before devouring! But tell me, what's your favourite vegetable? Mine is a tie between zucchinis and carrots - once upon a time, my hands and feet began to turn yellow because I ate too many beta-carotene filled vegetables ;P I even had orange blotches on my stomach, haha. I made this for dinner today and it was absolutely delicious! My kids loved it too.